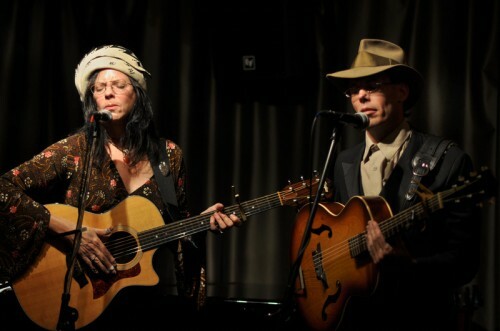 Hogan & Moss return to the Big Bend airwaves, after touring Far West Texas over the holiday break. Jon Hogan & Maria Moss appear on the Friday edition of the local interview program, Talk At Ten. We ask them about their latest musical barnstorm across our region. The Jon Hogan String Band played at the West Texas Townes Van Zandt Wake at the Starlight Theater in Terlingua, as well as at La Kiva and High Sierra. 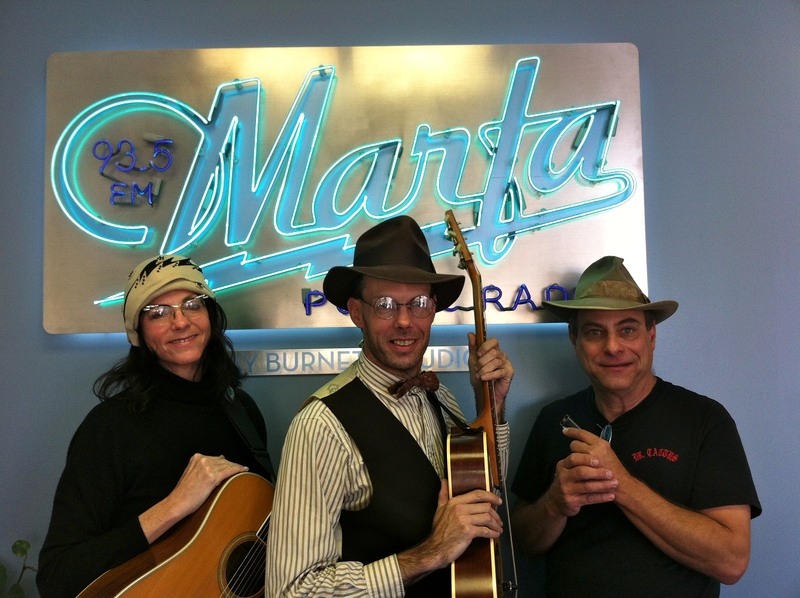 They played Alpine at the Railroad Blues in Alpine, and this evening, the pair will perform at Padres Marfa. You can see a video of their community jam in Terlingua, featuring “White Freightliner” by TVZ. Maria Moss, Jon Hogan, and JP Schwartz, January 6, 2011, KRTS Marfa.